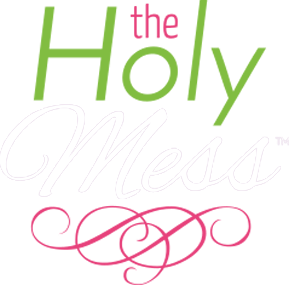 Do you need a new way to get your kids to help around the house? 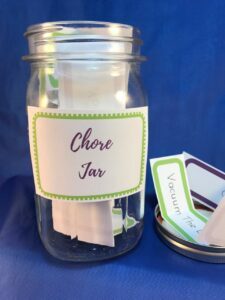 Check out the Chore Jar for Kids Printable Kit. On Saturday morning, have everyone in the house choose a chore. Make choosing 1-2 chores part of your child’s daily routine. Have children choose 3 chores to do before they are allowed screen time. This printable kit has everything you need to make a Chore Jar except for the jar itself. I used these adorable pint size Ball jars for my Treat jar, but a regular size canning jar works well, or any other similar sized container. 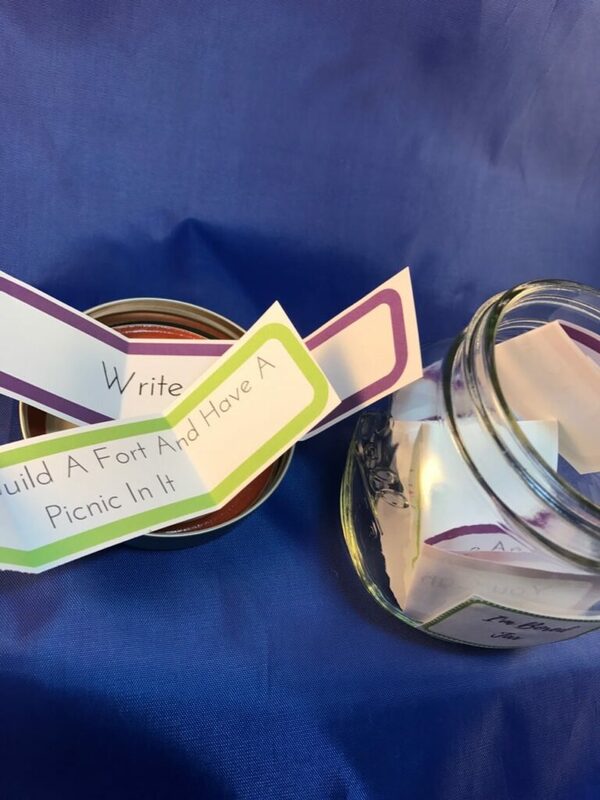 Here is the Chore for Kids jar using a full-size jar. 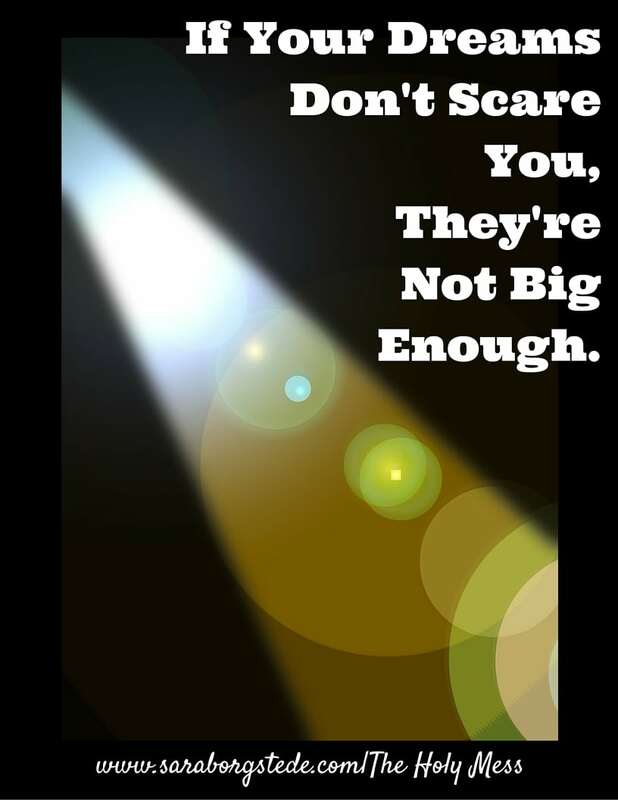 +10 other ideas & blank options for creating your own. 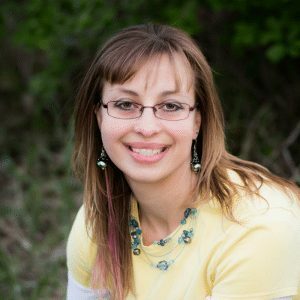 Of course, feel free to leave out options if they are not ideal for your child or situation. 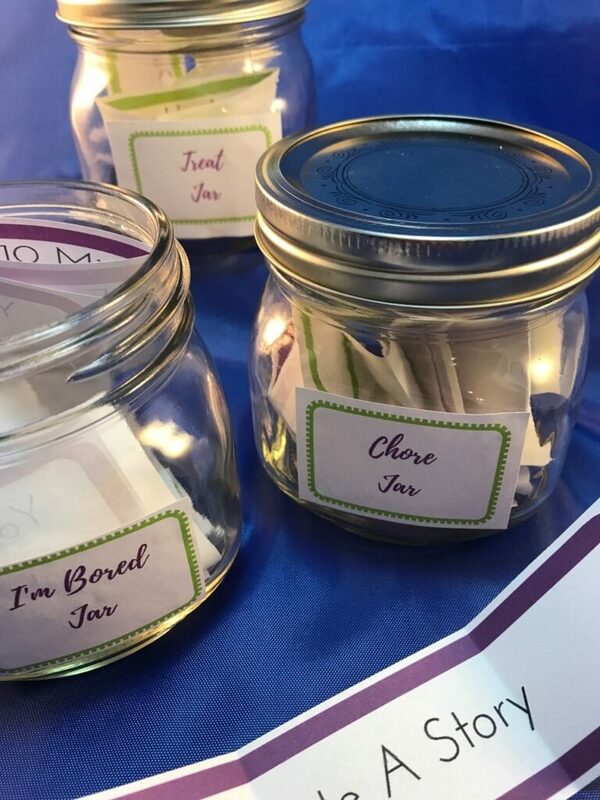 Jar labels in 3 sizes. All you need to add is the jar. 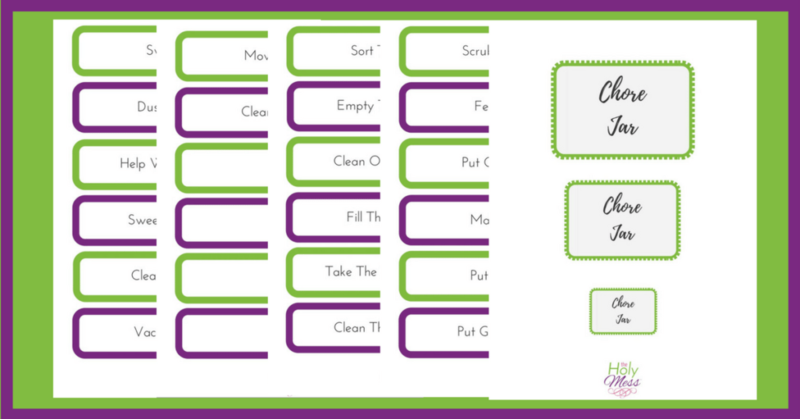 Click here to download the Chore Jar for Kids Printable Kit immediately. This kit includes everything you need to create a Chore Jar for your kids, except for the jar. Note: this is a digital product and nothing will be mailed to you. Upgrade and receive all 3 Jars for Kids Kits for only $2.50, which is 17% off!